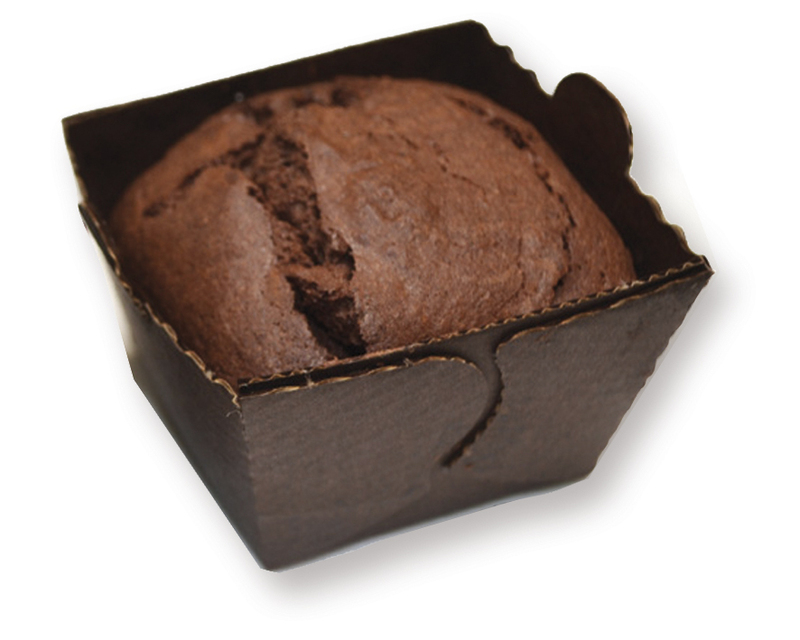 A soft cake with 61% cocoa pure chocolate, and a long persistence on the palate created by the high percentage of chocolate present and by the low lactose content. All the ingredients used in preparing it derive from high-level organic farming and do not contain gluten or palm oil. 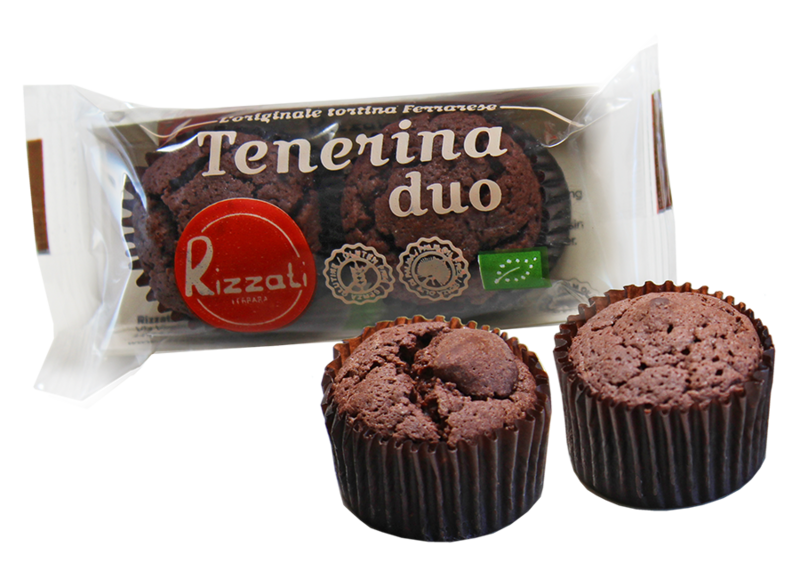 An important feature is the versatility of use: Tenerina is a refined dessert, an energy-filled breakfast and an excellent tea-time snack. It finds its full expression if combined with Rizzati creams (pistachio, coffee and Clashica), or served with jams, ice-cream or a cold, light custard sauce. It is perfect served warm, thus giving emphasis to the contrast of temperatures between the ingredients (20 seconds in the microwave, or 2 minutes using other heat sources). Soft candied fruit (navel oranges, Sorrento IGP lemons, pink grapefuit, bergamot, ginger and Ferrara plums), exclusively derived from organic crops. The fresh, persistent taste created by the long, slow candying process with recovery of the essential oils, combined with the sharp taste of dark chocolate, gives the palate a prolonged, fresh sensation, enabling various combinations to be created, with coffee, herbal teas and passito wines. Organically produced, gluten-free. A rich mixture of organically-farmed coffee beans enveloped in extra-fine dark chocolate that covers the surface of the bean with little grains to produce an unusal "blackberry" effect creates an interesting and original taste experience, transmitting infinite emotions to the palate. Organically-produced, gluten-free. 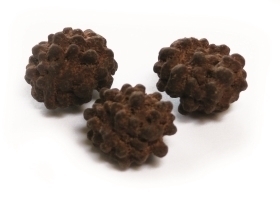 Extra-fine raisins covered in a film of dark chocolate are dusted with top-quality cocoa giving a truffle-like effect and a flavour reminiscent of honey. Recommended accompaniments range through ice-cream, cream desserts and spirits. Organically-produced, gluten-free. 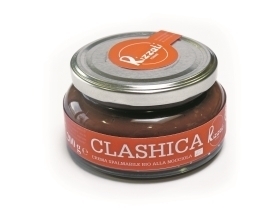 Produced with a high content of organically-farmed Italian hazelnuts (15%), allowing a mouthwatering and long-lasting taste to be obtained without the addition of other flavourings, Clashica cream is recommended for fillings, for variegating ice-cream, for breakfast and at tea-time spread on fresh bread. One of its most important features is the total absence of palm oils or fats. Organically-produced, gluten-free and does not contain palm oil. 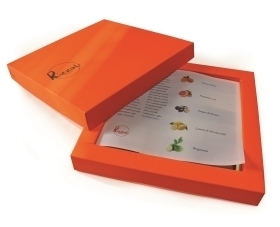 A top-class selection of pralines. A coating of dark chocolate surrounds soft pistachio, coffee and hazelnut cream centres. 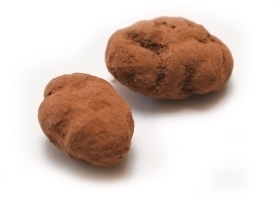 The combination of white chocolate, milk chocolate and dark chocolate produces a similar fusion of tastes as in the classic "Cremino" chocolate. The perfumes of the essential oils of the citrus fruits permeate the aroma of the coffee, enhancing its characteristics. 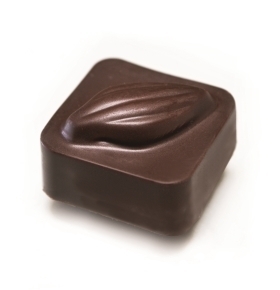 The hazelnut chocolate is overlaid with liquorice to refresh the palate, and the complexity and richness of the ingredients used creates astonishing explosions of taste. Organically-produced, gluten-free. The original Ferrara's cake with a chocolate heart: organic, gluten free and palm oil free. Available now in the new Duo format, even more convenient and practical to eat a tasty snack even when you're in a hurry.